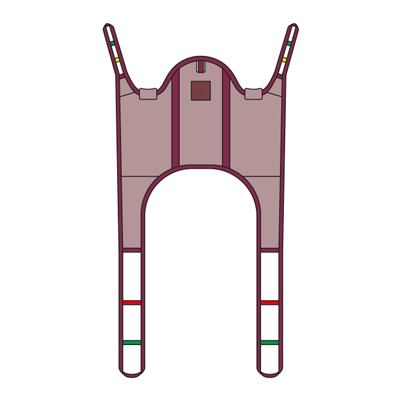 The Low Convenience patient transfer sling is similar to the Silvalea Low Back Sling, but has been designed with less shoulder support; allowing for transfers to be made with the end users arms on either the outside of the sling or the inside. The sling has a less restrictive approach allowing for a greater feeling of freedom from end users. This transfer sling gives enhanced support for the lower back area and is specifically for end users with good upper torso stability. Has removable stiffeners as well. Large opening around the lower body ensures hygienic toileting and makes clothing changes easier. Comes in Mesh and Polyester.